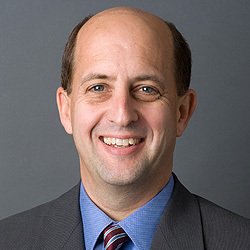 Jeff Van Gundy - ESPN Press Room U.S.
Jeff Van Gundy joined ESPN in 2007 as an NBA analyst. He serves as analyst for The Finals on ABC, the Conference Finals, NBA Saturday Primetime on ABC and several regular-season and NBA Playoffs game. Van Gundy also contributes to NBA Draft coverage. Prior to coming to ESPN, Van Gundy was the head coach of the Houston Rockets, where he had a 182-146 record. He also served as head coach of the New York Knicks from 1995-2002 and compiled a 248-172 record. Van Gundy lives with his family in Houston. He graduated from Nazareth College in Rochester, New York, where he played point guard for two seasons. Van Gundy helped Nazareth College to the NCAA Division III Eastern Regional title in 1984 and was honored with induction into the Nazareth College Sports Hall of Fame in 1996.